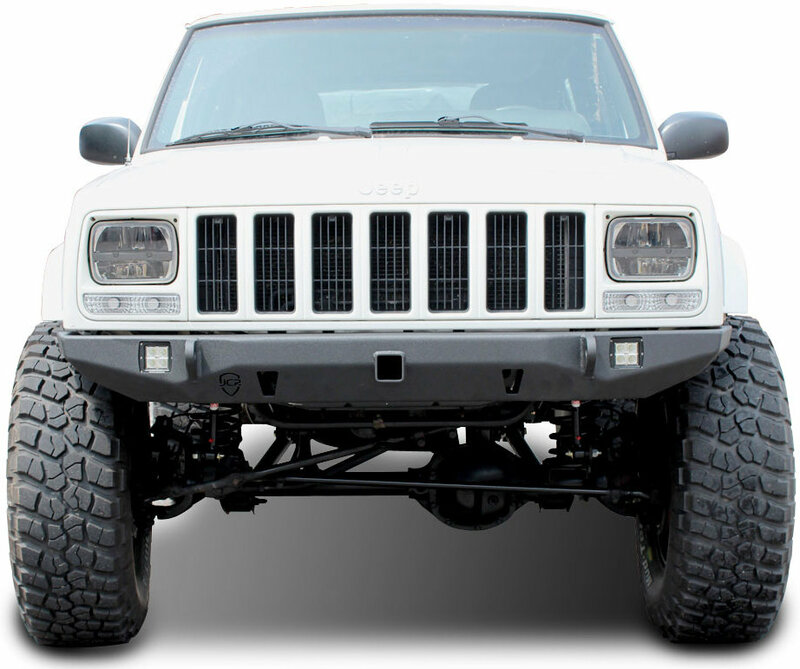 Get out of the dark ages of tired design with the new JcrOffroad Crusader Front Bumper! 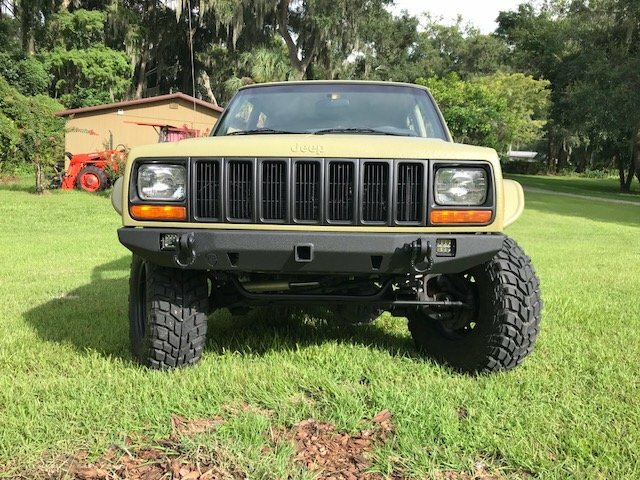 The Crusader features modern lines, that not only look great, but give your Cherokee that edgy up to date look it deserves! 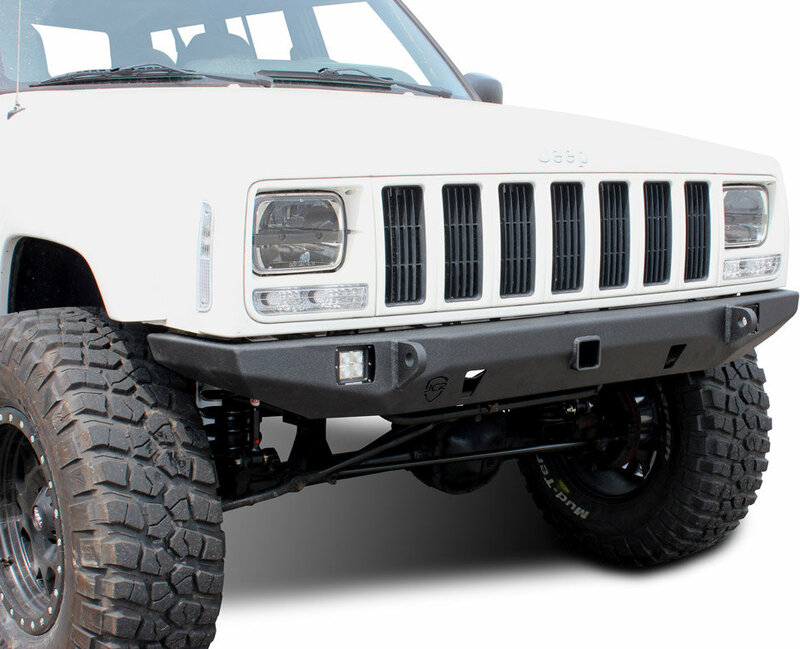 The bumper is constructed from 3/16" plate that is CNC cut and CNC formed in house, here in the US of A! These bumpers are factory replacements and have an easy bolt on application. 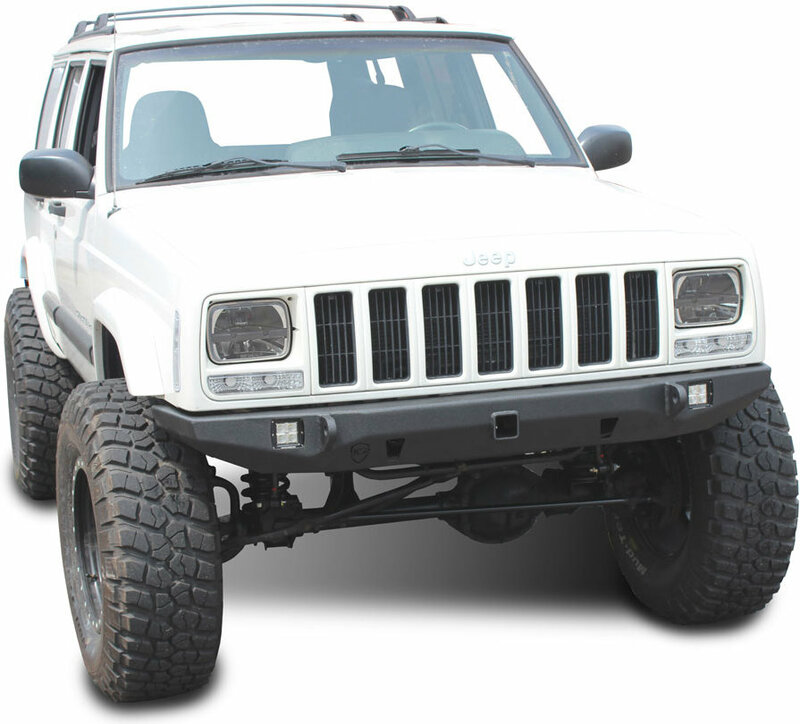 This bumper comes standard with 2" thick D-ring tabs, and two LED Cube Light mounting provisions. 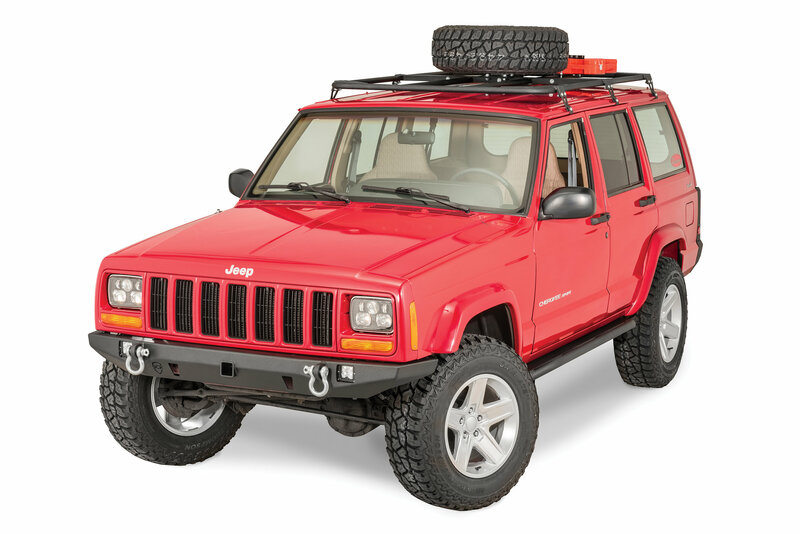 Each bumper is designed for maximum approach angle and overall clearance to help you conquer any trail you may happen upon. These bumpers are created by professional fabricators therefore the welds, overall fit, and attention to detail are second to none.